When you learn not to want things so badly, Wriphe comes to you. We're back on Kickstarter.com, out to crowd-fund another game with your money. 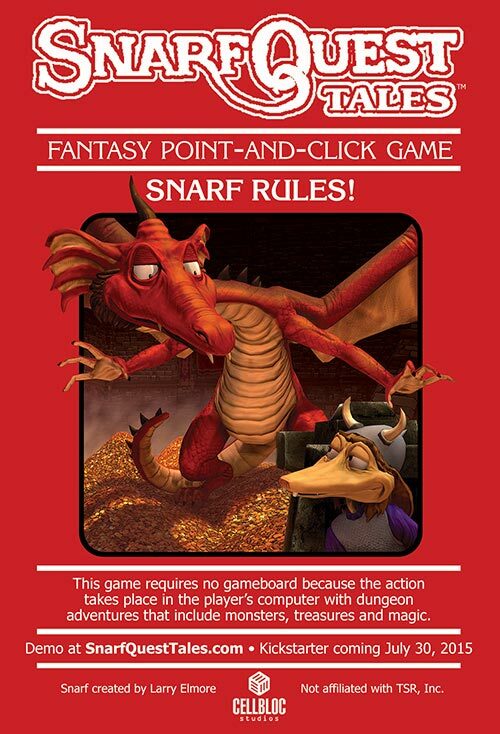 If the name Larry Elmore doesn't ring a bell or you don't know what SnarfQuest is, I recommend that you read our info at Kickstarter before you give us your money. But either way, you're still going to slip us a fin, right? Aw, come on, be a sport! Support your local Kickstarter today! This is SO cool! I love Larry Elmore's work! I think this has a tremendous chance of funding AND success! GO WALTER!!!! If you had seven blog posts and I took away four, how many would you have?